Prospect General recognizes the importance of giving back to the community, and we recently partnered with our sister company, Palomar Specialty, to lend a helping hand in San Diego. 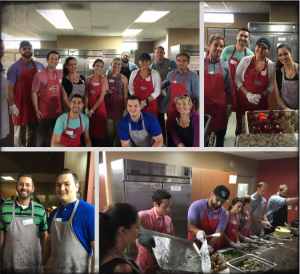 Our first event involved preparing dinner at the San Diego Ronald McDonald House . It was a great team effort, as we prepped the food and served roasted chicken with vegetables to approximately 170 guests. In-between the meal-prep and the dinner rush, we were given the opportunity to tour the facilities, and to learn more about what is involved with running the Ronald McDonald House and how it helps families with kids at the Rady Children’s Hospital. Essentially, the Ronald McDonald House charity gives families the opportunity to be with their loved ones for an extended period of time while their child is being treated for serious, often life-threatening conditions at local hospitals. The “thank-you” and smiles were worth a million words. According to a recent article in Bloomberg Businessweek , the seas are home to 80% of all species on the planet, and countless other creatures, including 3 billion people, directly rely on the ocean for food. 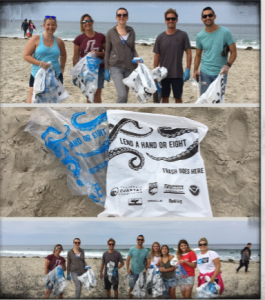 Being located in La Jolla, California we recognize the importance of a healthy ocean, which is why we teamed up with Palomar Specialty again to participate in the 32nd Annual California Coastal Cleanup Day. California Coastal Cleanup day is a statewide beach, coastal and inland waterway cleanup held throughout California, and this year the Prospect General volunteers collected cigarette butts, bottles, cans and plastics of all kinds — lots of plastics — that litter the beach areas and inland spots such as lakes and rivers along the county’s 70 miles of coastline. Both events were a great success and had an immediate impact in our own backyard!